We hope that the specific roles of federal, provincial and local governments (LGs) in relation to guiding the agricultural development at the respective levels would be fully crystallized sooner than later. However, as the agriculture sector is endowed with multi-functionality ranging from employing a large proportion of population to providing food and income for reducing hunger and poverty, it is urgent that it is guided by a fresh vision. Thus far, national guidance for long-term agricultural development has been provided by comprehensive vision documents such as Agriculture Perspective Plan (APP) and Agriculture Development Strategy (ADS). The APP (1995 – 2015) is already obsolete. The ADS (2015-2035) published in 2013 incorporated some aspects of federalism in Nepal, but it understandably fell short of analyzing how agriculture sector could best perform in a federal set-up. 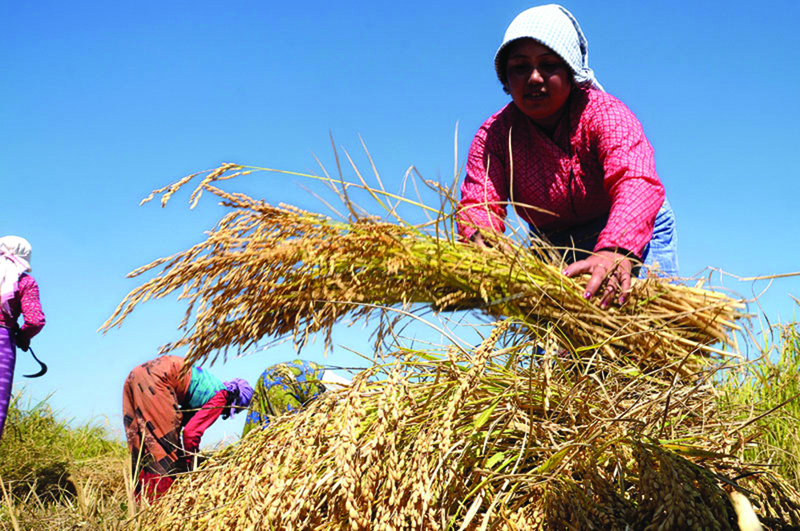 Now that the country has already put its federal structures, systems and mechanisms in place, a deep, extensive and rigorous exercise is needed to offer a fresh impetus to agricultural development in Nepal. Agriculture experts generally agree that the overall development of agriculture is a right combination of research, extension and education. The agricultural research activities conducted by Nepal Agriculture Research Council (NARC) and other smaller bodies now face a challenge of successfully integrating the structures of provincial and local governments. Each sphere of government now needs to have clear mandate on the types, scales and processes of researches that may be conducted independently of each other or in collaboration. And these research outcomes need to be strongly backed up by extension services and agricultural education system. In unitary system, the central government provided the agriculture extension services through the district agricultural extension offices and their service centers and sub-service centers, various commodity-specific farms, regional training centers and other such structures. In addition to supplying extension services, these structures also provided information on quantities of agri-inputs demanded, levels of local production, commodity prices, and other data. The farmers usually expressed their demands to these offices through farmer groups and cooperatives. As these organizational structures are now being dismantled and as local governments prepare themselves for provision of a part of such services, there are more questions than solutions to be provided. Similar issues can also be raised in area of agricultural education. Is one agricultural university enough for the whole nation or should there be at least one university per province. Should the local governments create agricultural schools to produce skilled farmers? Answers to these questions may be provided by the markets. However, there are areas where markets do not function well and even in areas where they function well, some people will still be left out unjustifiably. Hence, in difficult geographic terrain with nascent market infrastructures where the private sector is not profitably motivated to provide services and for those who are not justly catered by market, the public sector must provide the necessary public services such as estimation of demands for agri-inputs (such as fertilizers, irrigation, seeds, and breeds), information on price and technology (such as upgraded farm management practices, improved varieties/breeds, organic production), information on threats emerging out of climate change and issues of sustainability among others. Even in cases where markets function well, the public sector is held accountable for regulating and regularly monitoring the market functionaries for the purposes of quality assurances, mitigation of negative market externalities, environment sustainability, and reduction of inequities and inequalities. Similarly there are also issues of adoption of modern agricultural technologies such as use of Genetically Modified Organisms (GMOs), use of new generation pesticides, farm machinery and others. However, while no one probably disputes the importance of public sector for sound agricultural development in Nepal, disagreements are bound to occur on the specific roles that each sphere of the public sector (federal, provincial or local) needs to take. Before further confusion is added to already complex situation arisen in federal Nepal, stock-taking exercise with a long-term visioning should be carried out immediately.